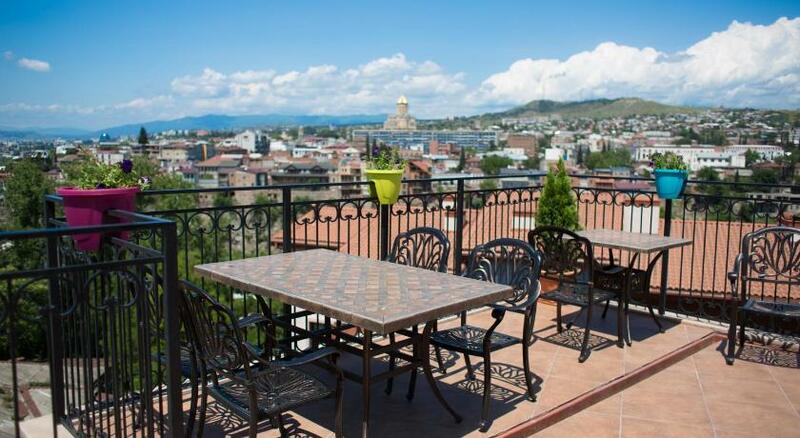 Offering a terrace and sauna, Metekhi Line is located in the Tbilisi City Centre district in Tbilisi City. Guests can enjoy the on-site bar. Free WiFi is featured throughout the property and free private parking is available on site. The rooms have a flat-screen TV. Some units have a seating area to relax in after a busy day. You will find a kettle in the room. All rooms have a private bathroom. Extras include bathrobes and slippers. Car hire is available at this hotel and the area is popular for hiking. Freedom Square is 1.3 km from Metekhi Line, while Rustaveli Theatre is 1.9 km away. The nearest airport is Tbilisi International Airport, 13 km from the property.